WordPress is getting an editor overhaul in the next few months. 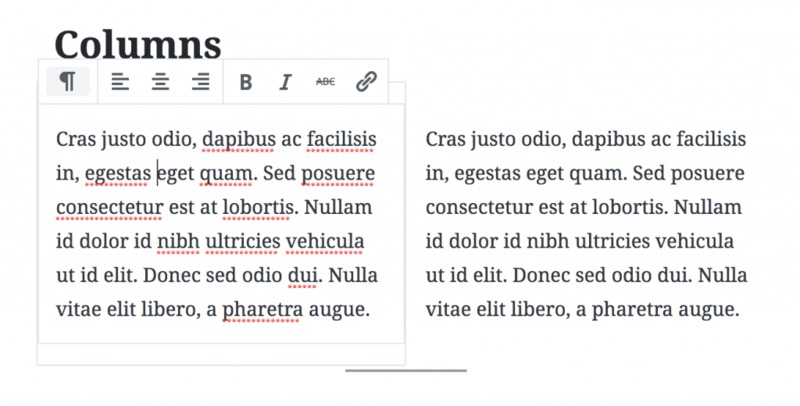 The WordPress editor is getting a big overhaul in WordPress version 5.0. It’s a big step forward for the WordPress editor and it changes things up quite a bit. But you’ve got plenty of time to practice with the editor. It’s due out as early as August. It could be later. That doesn’t mean you can’t start playing with the Gutenberg editor yourself now though. And I suggest you do. The current editor isn’t intuitive. You’re given a blank canvas and need to master a myriad of tools to create truly remarkable posts. Aside from the basic TinyMCE tools you’ll need to learn post formats, shortcodes, and maybe even some HTML markup. The new Gutenberg editor aims to consolidate these into a single experience using blocks. Gutenberg is the name for the project to build a new WordPress editing experience. And eventually expand into more site customization. The goal is to make the publishing experience in WordPress more intuitive and consistent between the editor and the output on the site. The key component of Gutenberg is the block. A block in the new editor will consist of things like headings, paragraphs, block quotes, images, and shortcodes in the current editor. By turning these elements into a block we’re able to easily edit, move, and transform each as needed. The Gutenberg editor is still in active development. It’s at a point now where it’s at a good point to begin rolling out and testing on sites. WordPress 4.9.8 will be introducing a “Try Gutenberg” callout. But you’re reading this post now. You’re an early adopter. You can get started with Gutenberg today using the Gutenberg plugin. The reviews for the Gutenberg plugin are not great. But take them with a grain of salt. There’s a lot of “DOOM IS NEAR!” feedback mixed in with some legitimate concerns. They core team does a good job of following up on reviews so they can listen to user’s concerns and help use those views to shape Gutenberg. That being said this is a feature in active development. So installing on your fully customized live site may not be the best idea. If you’re using a fully customized site with lots of custom fields (ACF and the ilk) or custom HTML you may not want to throw the plugin on your live production site. But if you do, note that Gutenberg won’t effect current pages or posts unless you edit and update them. At which point it will put the entire content of the current editor into a single block. You can also still open posts and pages with the Classic Editor as desired. Another option for those not wanting to test on their own live site is to set up a test environment on your computer. It takes the danger out of messing up your live site and gives you flexibility to try out new things. And best of all it’s easy and free. If you’re site uses pretty standard posts and pages you’re likely to have a better experience testing out the Gutenberg editor now. You’ll just need to make sure your theme supports it. Some features of the Gutenberg editor will require themes to provide support for the best integration. We’re working to get our themes support for Gutenberg and you can currently make sure of the new alignments for images in Zuul Pro and The Authority Pro with more updates on the way. The Gutenberg editor is coming, And though it might not be August it’s possible. The best way to prepare for it is to start playing with it now so you know what to expect and aren’t surprised when your WordPress 5.0 auto-update rolls out and your publishing experience is completely different. This is a big upgrade for WordPress and will greatly improve the editing experience going forward.